Meet Wasatch at Photonics West 2019, and have a look to the new products the show at Photonics West this week, it’s really just the beginning. We’re expanding on every front in 2019 – by extending our product offerings & footprint, growing our staff, and strengthening our foundation (have you seed our new facility?). If you miss us here in San Francisco, you can find us on 3 different continents this year – from LWOP China to Laser World Of Photonics Munich. Successful recycling depends on >99% sorting accuracy at high speed. 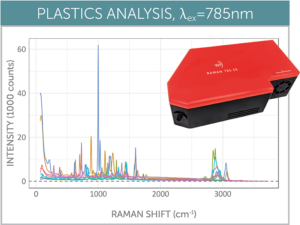 Raman’s power to quickly discriminate between plastics has never been better than with the new WP 785 ER, the latest addition to our high performance Raman product line. See how – and why. We’re launching a powerful new suite of OCT software solutions! 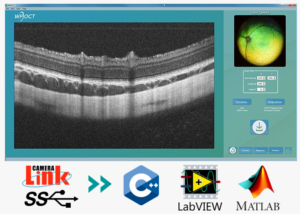 Acquire, control, and process with ease with our new SDKs for C++, LabView, and MatLab. Or start taking images instantly with our user-friendly WP OCT application software. Simplify your imaging. 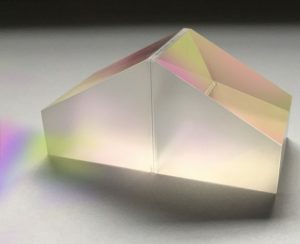 This mythically named optic offers the savvy optical engineer several handy tricks for bending light to their will, to save space or photoncs. When can a grating/ prism combination be beneficial in an optical design? Learn more!